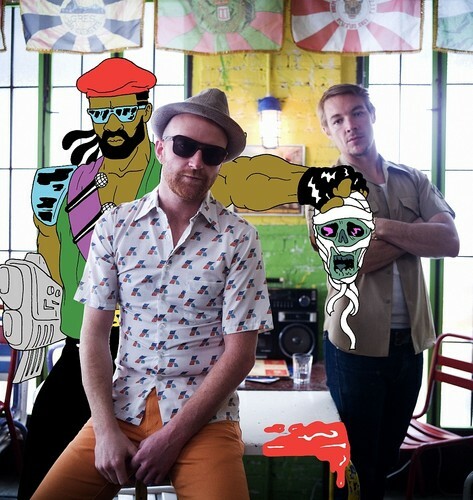 Major Lazer is a musical project by DJ/Producer Diplo. Formerly a collaboration along with DJ/Producer Switch, they parted ways in late 2011. The duo's first album, 'Guns Don't Kill People... Lazers Do' was released on June 16, 2009, on Downtown Records. Vocalists such as Santigold, Vybz Kartel, Ward 21, Busy Signal, Nina Sky, Amanda Blank, Mr. Vegas, Turbulence, Mapei, T.O.K, Prince Zimboo, Leftside and others contribute guest vocals to the album, as well as additional production from Afrojack and Crookers. This is the first release to come out of the label partnership between Downtown Records and Diplo's label Mad Decent. Major Lazer ended a US tour last summer. The album's first single was 'Hold the Line', the video for which, directed by Ferry Gouw, was nominated for a MTV Video Award in the Breakthrough Video category. Major Lazer performed at the Falls Music and Arts Festival (Lorne, Victoria, Australia) in 2009, and the Coachella Music Festival in 2010. They also performed at the Pitchfork Music Festival in 2010 and the Sasquatch Music Festival in 2011. Major Lazer performed at the 2011 Outside Lands festival in San Francisco.